Lifelong community activist on the Lower East Side, Chino Garcia talks about the many forms that his activism in the neighborhood has taken over the years: squatting, creating the first community gardens, experimenting with geodesic domes, and co-founding what would become CHARAS/El Bohio Community Center, a key cultural and organizing center in the once-abandoned P.S. 64. 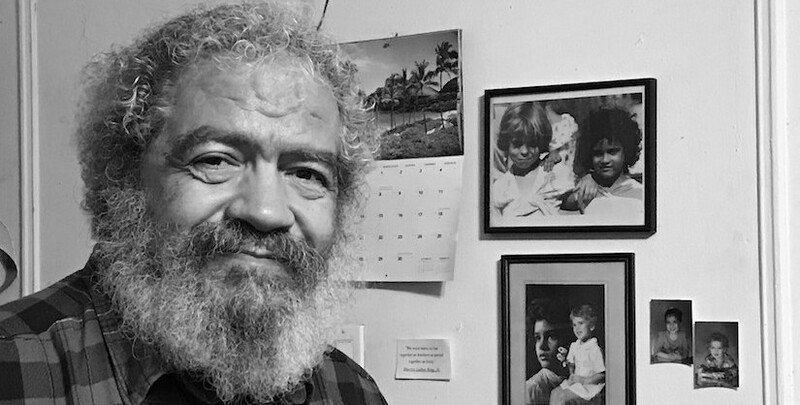 Chino Garcia talks about his lifelong activism on the Lower East Side, focusing particularly on the community organization, CHARAS, which he co-founded in the 1960s, and P.S. 64, the abandoned school on East 9th Street that CHARAS and Adopt-A-Building took over in 1979. Garcia describes the condition the building was in, the work they did to return it to usable space, and the myriad programs they offered in the space as they turned the building into El Bohio Community Center. The center became a leading cultural and organizing force in the neighborhood, providing after-school programs for children, rehearsal and performance space for avant-garde and political theater groups, gallery and studio space for visual artists, space for activist groups, like Picture the Homeless, and more. Garcia describes the fight against the Giuliani administration in the late 1990s to keep the building and he tells the story of ultimately being forcibly removed in December 2001 after CHARAS lost its last legal challenge. The interview ends with Garcia’s fresh hope of getting the old P.S. 64 back, given current Mayor Bill de Blasio’s October 2017 announcement that he wants the City to buy the building and return it to the community. This oral history, as well as CHARAS’ papers, are available at the Hunter College Center for Puerto Rican Studies. Q: Okay, so this is Leyla Vural and it’s Monday. November 13, 2017. I’m in the home of Carlos “Chino” Garcia on the Lower East Side to talk to him about his activism with CHARAS and P.S. 64 for the New York Preservation Archive Project’s Saving Preservation Stories oral history. Thank you so much, Chino. Garcia: It’s a pleasure [laughs]. Q: So how about if we start the way that oral histories always do, at the beginning. Can you just tell me a little bit about where and when you were born and how you grew up? Garcia: Yes, I was born in Puerto Rico in Rio Piedras, Puerto Rico. That’s the town where the main university of Puerto Rico is. My family lived in a village not too far from the university, walking distance. I came to this country in 1951 when I was five years old. I’ve been lucky that I was able to go to Puerto Rico every year for the summer and for different events. Q: So did you grow up feeling Puerto Rican and like a New Yorker? Garcia: Oh, yes, I’ve always considered myself, nationality-wise, a Puerto Rican. A New Yorker, yes, because I’ve been here since a kid. I consider myself a real genuine New Yorker since 1951, I guess [laughs]. But we have the privilege as Puerto Ricans to have a few hundred thousand here. So there are many neighborhoods where Puerto Ricans have influence, plus other Latino communities throughout the city that privilege of. Q: When you came to New York as a kid, did you come to the Lower East Side? Garcia: No, the first year we lived in East Harlem, which is the typical—at that time—the typical Puerto Rican family, they came to New York and usually went to East Harlem because that was the base, what we know as El Barrio. Then we split throughout the city. So from East Harlem after being there for a year—my grandmother was there and some uncles in East Harlem—my father decided to move to Chelsea in the west side because it was close to the garment center. My mother was a garment worker. He was a carpenter—mason—pero a lot of his time in New York, he worked in hotels as a waiter, for most of his life in New York. On the weekends, he would do construction because that was his trade from Puerto Rico. Q: So when you were growing up, was your family kind of an activist family? Garcia: Not activists but they were both union workers in their trades. Also, they were very progressive in humane causes, through either the church or their party, which they were Democrats. They were very concerned about people being treated fairly, medically, the poor. They were always working-class people. They were very pro-education, pro-welfare, pro-anything that would help the poor and the working class. Q: So when you think about how you got active, do you feel like you learned some of your way of thinking from home, even if it wasn’t something you were discussing explicitly? Garcia: Yes, having this from the family, it somehow gets to you and you develop yourself based on that. My family, I was happy that I learned to be a progressive person, to look out besides for the family interests, also the community and be part of the community spirit, in Chelsea or in the Lower East Side. In my case, as a very young man, I joined a gang, a youth gang, mainly because we had problems with other nationalities and races. We had to confront those people. Later in life, the gang became more criminalized but in the beginning of the gang wasn’t to become criminals. It was to protect ourselves against other groups that would abuse us just because we were Puerto Ricans or we didn’t speak English. So basically that was our protection. Pero at a very young age, a lot of us who were in the gang, we really didn’t like being negative in life, like in crimes or anything like that, so we started using a lot of our energy, our leadership and technique, toward socializing issues and that sort of thing. One of the first things that we got involved with was housing and that really created momentum for us. But it wasn’t just housing, it was every issue. You name it, issues from health, dealing with Bellevue Hospital, public places, education. Every major issue became very important—hiring more Latinos, hiring Latinos in the police department, fire department, all those issues became very important. A lot of them, working together as communities, we accomplished them. But it was something you had to bring to the attention of the government, of the unions, et cetera, et cetera. I mean you just cannot stay back and just complain. You have to be part of the solution and every human being should always be thinking like that. So I had the privilege of participating with a whole bunch of people on many, many issues. Q: My first job was with the International Ladies’ Garment Workers’ Union. Garcia: Yes, my mother was a member of that union from the ‘40s, around the time that they started. It was a very important union. Her and all my aunts, cousins, they all joined the International Ladies’ Garment Workers’, you know? Q: Yes, I do [laughter]. So tell me a little bit about sort of your early days, when you were first going from a little bit of the rough and tumble of the street to that energy going into housing. Do you remember how that happened? Garcia: Yes, basically, there were a lot of lousy housing services by landlords, slumlords, they used to call them. They called them that and there’s still some around. Anyway, our thing was to demand services from them as much as we could get. People paid their rent and they’re supposed to get services in return for that. Demanding and creating rent strikes, that kind of stuff became very important. We did a lot of organizing around that. We organized rent strikes against landlords and it worked. A lot of services got done. Then it came to the period in late ’60s, early ’70s, ’80s, where the landlords started burning buildings in order to get rent. They would get more money from the insurance companies than they were getting from the tenants. Then altogether you’ve got different rules and regulations, the rules and regulations basically on creating laws, like rent stabilization, rent control, all kinds of rent laws that were passed. And basically a lot of that stuff—I mean a lot of this abuse from landlords had been going on since the turn of the century. I think in the ’40s, ’50s and ’60s, thank god, a lot of laws came into being to protect the tenants. So those are things that are very important, that are symbolic. Besides the rent problem, you had other social problems with education, with unfairness. The other day I was telling somebody, there was a time I used to work in Bellevue Hospital when I was young. I was a handyman. There wasn’t official translators for the clients, so if you were a Spanish-speaking worker, which I didn’t mind, but it was a problem and at the end, it turned out to be a serious problem. If you don’t have proper translation about medicine [laughs], you really get caught in a very scary situation. So demanding for things like that is very important, the need for legal translators, medical translators, all that stuff, which I think now is very important, I don’t think, it is a very important service for our general public of all kinds of nationalities. There are official translations for everything now, which didn’t exist before. So as a person that didn’t speak English, translation was very important. Thank god that as a kid you learn English fast. So then as a kid, you become the translator for your older families and people that came from Puerto Rico that didn’t speak English. You’d help them translate a lot of stuff. Pero now, thank god, there’s a lot of translation going on to every language, I think, that exists, in New York anyway. I don’t know about other parts of the country, but New York is pretty disciplined on that service. Q: So when you were a teenager in the late ’60s and first getting active, is that when you started the Real Great Society? Garcia: In the early ’60s—’64, ’65. Q: So you were a young teenager. Q: Can you tell me about that? How did it get started and who were you with? How did you—? Garcia: Basically, the group was together as a gang anyway, as I told you earlier, our concern was about our community and it was the physical abuse that was going against us. Pero that same energy, we decided to start using it for social issues and humane issues. Basically, it’s almost an organization already formed. It’s just that you’re going to change one hundred percent into a humane service type of organization. Q: Did you name yourselves in response to [Lyndon B.] Johnson’s Great Society? Garcia: Yes, yes. He came out with the Great Society and we decided to call ourselves the Real Great Society. I think that was around 1964, right when he got elected president of the United States. When he got elected president of the United States, my kid brother was going to Food and Maritime High School [Food and Maritime Vocational Trades High School]. He used to be down by West Houston and Varick Street. He was studying baking. So they chose his high school to bake the cake for the inaugural of the president. So he was part of that big cake that they did for—it was a cake of the United States, made for the inaugural party in Washington [D.C]. So that’s a privilege that my brother had. My brother became a chef after he left the [United States] Army. Q: Wow. And did you—I think that’s so interesting because you were thirteen years old [note: the interviewer was confusing Garcia’s arrival in New York in 1951 with his year of birth, which is actually 1946] and you realized that maybe the Great Society wasn’t going to be so great? I mean is that why you named it that? Garcia: I don’t want to be—I or we as a group, we don’t want to be critical of something that’s just starting, pero we are the problem, the reason they exist is us. So therefore we’re smart enough to come up with our own solutions or work with them, which we did to fix problems that existed. But it’s good for somebody from the bottom meet equally with some of those people as much as possible. Q: Did you think of yourself at that time as a person who was kind of a leader in your group? Garcia: We were leaders of our own destiny technically in many ways because we meet like any other group and we make decisions like any other group on different issues, a lot of issues. Not only one problem, there were a lot of issues at that time. And then we have our own personal lives to live. Q: Were you still in Chelsea at that time or were you already on the Lower East Side? Garcia: No, no, I was already living—I moved to the Lower East Side from Chelsea, from a tenement building. My parents applied for [New York City] Housing Authority and they gave us an apartment on Columbia [Street] and Houston [Street]. We moved there and we stayed there, ten years or something like that. Q: So you spent a lot of your childhood around here then? Garcia: Yes, here on the Lower East Side, yes. Technically, my youth was mainly on the Lower East Side. Q: Were you part of the naming of this area as Loisaida? Garcia: Yes, the name Loisaida—in 1971, ’72, I can’t remember the summer, it was one of those summers, Bimbo [Bittman] Rivas and myself—Bimbo Rivas was a very well-respected poet at that time. He was also a writer and he was director of our theater program. We decided to write, in honor of [Miguel de] Cervantes and Man of La Mancha, we decided to write his fiction of Cervantes—of what’s his name, of Man of La Mancha, into an urban setting. That’s where we got the name, Loisaida, which is Spanglish for Lower East Side. So it turned also they created—the Latinos on the Lower East Side had a hard time always saying Lower East Side. So by saying Loisaida in Spanglish, it created a word for them to use. At the same time, it was part of the story of Don Quixote de Loisaida, which Bimbo and I put together. Garcia: Briefly. Never as a whole play, we never did it as a whole play. We did skits. One of the things that we had, we used to have a traveling theater group, and we did street theater. Bimbo called it El Teatro Ambulante, The Ambulatory Theater it would be in English. Basically we did plays in different locations throughout the city, for political—most of all our plays had a political touch to it—in a lot of the festivals and that kind of stuff. We had the privilege of working with other theater companies and that’s how I also met—I met The Living Theatre, Bread and Puppet Theater and a whole bunch of those, Teatro Campesino. You get to meet all those political theater companies. So it was a lot of fun, a lot of fun working with street theater. We did a lot of skits and that kind of stuff. Q: When you were realizing that the Loisaida became a term that people use all the time and that’s lasted, did you see it as kind of claiming the neighborhood? Like did you see it as a political act to call it Loisaida? Garcia: Yes, it is was political, one hundred percent, and it’s a sense of identity that you get from naming a neighborhood and creating a word that is convenient for thousands of people, pero not only Puerto Ricans use it, English people use it, too. Q: I think that’s really cool. Can you tell me about some of the story of how the Real Great Society kind of transitioned to become CHARAS? Garcia: Yes, in 1965, we met some environmentalists and a lot of the topics of that time was solar energy, wind power and all kinds of alternative technology, and how if you’re going to be part of a community, how you can put some of this stuff into use, including open space and many things like that. So we formed a committee called CHARAS and that committee basically was to—how do you call it? We formed the committee with the first letter of everybody that was in the meeting when it took place. Basically, we started calling the committee the CHARAS Committee, which was the environmental movement. That committee was very heavily involved and associated with [Richard] Buckminster Fuller and other environmentalists. So basically it was easier for people to use the name CHARAS than the Real Great Society, just like the name Lower East Side, Loisaida. So that helped and people just started calling us CHARAS. It was a lot easier to say that. So the whole organization, little by little, became CHARAS instead of the Real Great Society. Then we made it official in ’71, ’72, I think, as an organization. Garcia: No, no, it was Chino, Humberto, Angelo, Roy, Anthony, and Salvador. So basically that was the rhythm that created the name. Garcia: No, no, Anthony is still around. He’s no longer involved with us but he’s still around. Q: Oh, my goodness, I’m so sorry. Garcia: [Laughs] Don’t let him hear that. No, he’s still kicking, god bless him. Garcia: Armando passed away, yes. Garcia: He’s not one of them. Q: He wasn’t one of them. Garcia: He’s one of the founders of the organization but he wasn’t in that meeting. Q: I’m so sorry, Anthony. So it wasn’t an intentional thing that you were going to switch names? It just kind of evolved? Garcia: Yes, it happens naturally, just like the word, Loisaida. It happens naturally. It’s easier for people to say that. Q: And how did you meet Buckminster Fuller? Garcia: Bucky, he gave a speech about—I can’t remember where, at some university, and one of our guys told me, “Chino, this is an interesting article.” Somebody wrote an article on this speech—and his speech was basically how to do the most with less, material-wise. When you are part of a society like ours that we didn’t have much, I felt, and other members discussing it felt, that it’s a good idea to analyze this guy and figure out how we could do more with less. And that sort of became our slogan at one time. Basically we met with him and we discussed that. We were interested in doing—we were doing buildings, so therefore we wanted to renovate buildings and that kind of stuff. That was the beginning of abandonment by landlords. So how could we develop some of those buildings and do the most with less material? Basically we became really interested in some of his policy of design: how you do some of those designs, how you begin to design apartments or buildings, that sort of thing. I think in 1979—no ’69, one of the first buildings that was vandalized was across the street [pointing across East Sixth Street] and we figured how to take the building and renovate it. It was all destroyed, the interior, and begin to start the idea of taking over city-owned buildings and begin to fix them. Hopefully the City would cooperate with that, but we moved into buildings—we squatted into buildings even without their permission, because when you did ask them for permission, they gave you the runaround. So basically we did that. We actually started working on the buildings and then after that—together with other people from the community—after that particular building, that didn’t work out for different reasons. Then together with the organization, Adopt-A-Building, we decided to move on another building at 519 East Eleventh Street and that one worked. That was the first sweat equity building and that was in the early ‘70s that we started that project. So the housing rehabilitation started but a lot of the ideas started in ’69, ’70, ’71, ’72 and 519, I think we got in 1973, legally together in cooperation with the [John V.] Lindsay administration. And it became the first sweat equity building in any urban area of the United States. Then it also became the first solar energy building and the first wind-powered building in the United States in urban areas. But it messy [?] and all based on ideas. Bucky was very influential in those types of—first of all, he’s one of the top architects in the world, even though he’s not an architect. Bucky’s really a mathematician and I think he’s the only mathematician that is in the national association of American architects. He’s the only—they’ve got hundreds of architects in the main hall and he’s the only one that they have that says, “Buckminster Fuller, mathematician.” Everybody’s an architect [laughs]. He’s the only one that says “mathematician.” It doesn’t say architect, because technically that’s what he was. And you can’t do architecture without math. He was a whole different type of designer. He’s been doing it since the ’30s. I guess he has the right to be called whatever he wants [laughs]. Q: I went to a public school in New Jersey that was a geodesic dome and we sang a song in honor of Buckminster Fuller. Garcia: Oh, really? Do you remember the song? Q: [Singing] “Buckminster Fuller was his name—” and I don’t remember the rest [laughs]. Garcia: Oh, yes, that’s cute. Did they ever record it? Garcia: Find out because it would be nice to give it to his museum in Philadelphia. Q: —to sing to the architect [laughs]. Garcia: Of course, yes, you don’t know that stuff as a kid. Q: I will look for it and if I find it, I’ll email it to you. Garcia: But what was great about Bucky, that here he’s meeting with a whole bunch of nuts from the Lower East Side—activists—we just have ideas. We don’t have money, we don’t have land. You know, pero the thing is, talking with him and that stuff. And him taking it seriously, where he would sit with us for hours. I mean this is probably one of the top designers on earth. He would sit with us for hours and discuss details and discuss financing of projects and the possibility of this and how you could do a building with less material. And quality stuff too, because one the things that he always impressed was, no matter what you do, try to do it with quality. I mean do it with quality, all that stuff. There is a book called CHARAS, the Improbable Dome Builders, which the second edition is coming out. I don’t know if you’ve seen the book. Q: I haven’t. I will look for it. Garcia: Let me see, I’ll show you an example. Q: Okay. Do you want to do it now? Garcia: Yes, take off the microphone. Garcia: When we were experimenting with the ferrocement domes, we were trying to create how to do fast housing in rural areas. At that time, we were talking with an Indian tribe in Maine and we were also talking—we heard of them and they were going through legal matters in Maine. I think there was a time when the majority of Maine with all the towns and cities belonged to Indian tribes because they never did treaties with the tribes. And the tribes sued all those cities in that period. There’s a whole case about it and the federal courts agreed that the people built towns inside Indian lands without the permission of the Indians. So they had to negotiate. So some of those Indians also were looking for alternative housing for them and they assessed what we suggested. And we were thinking of going there and building some ferrocement domes and also in Puerto Rico. So basically that’s why we got involved: to figure out how to do it. Our theory was that you could build a huge dome, like thirty feet diameter, and that would be the main structure of the building. Then in places like Maine, you would put some kind of insulation with foam. In places like Puerto Rico, you won’t need insulation. And then we would build like the same thing they did with your classroom, you would build portable walls inside so people could design the rooms and that sort of thing in their own ways. So all these were experiments and ideas. So we were going through these changes of building, not only in rural areas but we were also doing urban dwellings together with Adopt-A-Building here in the Lower East Side. Q: Were you also involved in community gardens? Garcia: Yes, we helped start the first major garden in the Lower East Side. That was five of them together with the help of the Council on the Environment [of New York City]. The director was, I think, at that time, Liz Christy. She was one of the gurus in open spaces and neighborhood gardens and this and that. With her, we did five different gardens in the Lower East Side. One of them is right here next to where I live, the Little Garden [on East Sixth Street]. I don’t know if you saw it. Q: I did, the Little Creative Garden, [Creative Little Garden] it says. Garcia: Yes, that was one of them. The biggest one was the Plaza Cultural, which on Ninth Street and Avenue C. Then after that, a whole bunch of people started building gardens in the Lower East Side. It’s really beautiful having all those gardens around. Garcia: Community should be a place where everybody should be part of something or doing something as much as possible. There are people that live in communities where they don’t know anybody and don’t want to know. But that’s up to them if that’s the life they want. I am a strong believer you should be part of a community and participate in it. Q: So can you tell me about how it was that CHARAS came into P.S. 64? Garcia: P.S. 64, in the early ’70s, the City had a budget crisis and they closed a whole bunch of facilities. They closed schools, hospitals and other city facilities and buildings because financially, they couldn’t afford to operate them anymore. Basically when the [New York City] Department of Education closed down some of these facilities, community groups requested the City to turn them over to them. In many cases, the City didn’t. So a lot of those facilities got damaged, destroyed, vandalized tremendously. I think P.S. 64 was closed for around three or four years, where it was vandalized. Organizations like Adopt-A-Building and CHARAS, we were interested in saving some of those facilities. We requested the City to turn over the building to the community, and they took their sweet time. So one time, one day, Adopt-A-Building and CHARAS just decided to squat in the building and start fixing it, and demanded the City give us a lease. That’s how we actually got in. Q: Can you describe that to me? Do you remember, did you break down cinder blocks? Like how did you actually get in? Garcia: The doors were—well, people stole the doors. The building was totally vandalized. So we had to figure out a way how to secure it first. We were lucky because Adopt-A-Building at that time had a construction training program. So basically all those trainees, we’d teach them how to fix things inside the building. So that helped a lot. We taught them plumbing, we taught them electricity, you name it and they learned. They learned how to fix up the building. There wasn’t any electricity. They stole all the copper wiring out of the building. It was totally stolen from the fifth floor to the basement. All the copper was stolen. All the lead pipes, all kinds of copper pipes. Everything was stolen. All metals, brass, you name it, anything like that was stolen. And there wasn’t anything left. The roof used to be all copper. They stole all that. So when we took it over, we had to put in a tin roof. So basically—and if we take it back again, hopefully some day, we could probably start a project and restore the original copper roof again because it was beautiful. At that time, they didn’t make things flat. Everything had a design. You had a gargoyle type of design. The copper, it wasn’t just a flat piece of copper. It was beautiful. So some day, I always say if we take over the building again because that was our plan in the past, to redo the roof out of copper. The way you’d do it, we talk about Buckminster Fuller, the way you do is you get the copper and you get young kids that want to learn how to do that trade, or even if they want to do it for fun, it doesn’t matter. But it’s a trade that I’m pretty sure a lot of young people would want to learn. I think that’s what’s important in restoration. You were talking about landmarks and this and that. When they redid St. Mark’s Church [in the Bowery] after the fire, they restored it. What they did is they got a whole bunch of young people that wanted to learn the trade, how to restore old structures, and there was a good friend of mine that was the construction supervisor, Davies Diaz [phonetic] was his name. Davies Diaz, he helped in the restoration together with Reverend [David] Garcia in the restoration of St. Mark’s Church. A lot of the way they did it is they used trainees and they learned the trade. A lot of brothers and sisters, they learned restoration and a lot of them got to work in St. John’s [Cathedral of St. John the Divine], which is still being finished. I think it’s been going on since the ’30s, St. John’s Cathedral [laughs]. It hasn’t been finished yet. Q: That’s where I live. Garcia: Oh, okay, which is a beautiful area. And that was the way we were thinking of restoring some day the copper roof of the center, CHARAS/El Bohio, by getting young people to learn how to do that, how to work with copper. You train twenty kids and maybe three of them will become professional tradespeople. That’s better than nothing. You don’t have people working with copper anymore, not too much, only artists and things like that. Q: But you knew the building obviously before the school closed. You knew it when it was still lovely. Garcia: When it was a school building, yes. It used to be a school building. I didn’t go to it but people that were part of—kids that grew up in the neighborhood that became part of CHARAS, like Bimbo Rivas, studied there and other people studied there. Sometimes you’d be in the office, and there would be an old eighty-year-old man who went there in the ’20s, and the turn of the century, when it first opened. They would come by to look at it. That was lovely when that happened. They asked if you could take them around the building and that kind of stuff. They were happy that the building was still alive and going. Q: So when was it that you went and reclaimed it? Garcia: I think it was the winter of ’78, ’79. Q: And how did you secure the building right at the beginning? Garcia: Well, we found some of the original doors. People were using them as picnic tables in different locations throughout the neighborhood. So they returned them to us. That was nice because they were really good doors. They were very secure. We found some of those doors. Then we had a group of volunteers that stayed there overnight. Everybody would take turns to stay in the building overnight, to keep an eye on it. Q: And how long did it take before the City gave you a lease and made it official that you could stay? Garcia: I think they gave us permission to stay there within—because we had to get insurance and you can only get insurance if you’re legally in the building. And we convinced the City that it’s important that they gave us recognition. Adopt-A-Building was well respected as an organization. So the City decided to give it to us pretty fast, within less than a year, so that way we could get insurance. Q: And could you tell me about what you were doing? I know it became a really important cultural center. Can you kind of describe what was going on besides rebuilding the building? Garcia: Well, one of the things is we developed a—here, I’ll show you a list [showing a brochure that includes a list of the programs that CHARAS/El Bohio ran]. I won’t be able to give it to you because what do you call it, I don’t have too many of them. Q: You know what? I could take a picture of it later. Garcia: Yes, you could do that. Q: Thanks. When we’re finished talking, I’ll take a picture of it. So can you describe some of the things that were going on there, that really stand out for you? So basically we present more visual artists—that’s just the artists, forget about music, forget about theater, forget about films. We have one of the most popular film programs in the City of New York. Basically, that’s just in art. We also had training programs for construction workers, which from the beginning we had that. We have an after-school program. We used to have substance-abuse meetings. There would be like fifteen hundred people a month. Narcotics-abuse meetings, there would like five hundred people a month. And a whole bunch of other community issues, housing, you name it. So basically it’s ridiculous to measure by how many months you open for art when you don’t count the amount of artists that you’re presenting. And we usually present artists that weren’t well known, that nobody else would exhibit or wanted to exhibit and that kind of stuff. So it’s important that we have ideas—a theater festival, there were several theater festivals that used to work out of there annually. Then you have great groups like the Living Theatre, Theater for the New City, Bread and Puppet, Teatro Campesino, Teatro LATEA, all those groups used to—before they got their own spaces or anything like that, they used to work out of there temporarily, hundreds of different artists. Then we had support from people like Richard Gere, Susan Sarandon. I mean really supporting us in any way they could. Also Andy Warhol and many artists, they were already successful. They would always help us to fundraise. Those things are important. It was very strong support. To the day that we left, we had already five thousand dollars to restore the fourth and fifth floors—I mean five million dollars—the day that we left, that we had to return back to the City because it was given to us by the [New York] City Council at the time and the borough president and our councilwoman, Margarita Lopez. That was already approved and ready to go. We had to return it back to the City. So it was me, I think Armando Perez and Ken Mesa [phonetic], meeting with them. There probably was somebody else from CHARAS, I can’t remember. So we said, “You’re really going to start an organization?” They said, “Oh, yes, we would like to.” And we told them, “Well, you see that desk over there? That desk is empty. Nobody’s using it. So start your organization right out of that desk. There’s a telephone there that you can take to the desk. Put it there and make all the phone calls you’ve got but begin the organization.” And they started. That’s how they started originally. So we were hope for many other groups that came, that needed ideas, needed a place and money really wasn’t an obstacle because if we could help you, we will. We helped start organizations in Chinatown and many locations around the country because there were ideas. And we got lucky that we got respected by people. We would tell people—foundations and corporations—give so-and-so a few dollars to start. Because it was a thing, an idea needs water to grow, something to give it that strength. We succeeded and you yourself met one of the organizations that we helped start [referring to Picture the Homeless] but there were a whole bunch of groups like that throughout the years that we helped, not only in New York City, pero throughout the city and throughout the country. Garcia: That’s how a lot of that stuff worked, you know. Q: So I want to ask you about what happened because you were thriving and so important and doing so much good work and [Rudolph] Giuliani then decided there was money to be made in taking the building back and selling it. Garcia: No, no, he wasn’t dealing with money. That’s ridiculous, the amount of money that they sold it for. It’s just that he didn’t like us and he was going to try to figure out a way how to destroy us, period. We did not get destroyed. It did affect us, of course. It’s common sense because all the years that we put into that organization, we got destroyed in a couple of years physically by this politician that according to Mayor [Bill] de Blasio, it was an injustice that they did to us. He said it exactly like that [in October 2017], an injustice that the City did to us. That was almost two decades ago. Q: Absolutely. Could you tell me the story though of what happened? You were thriving, it’s the ’90s. What happened under the Giuliani administration? Garcia: Well, the mayors, we dealt with Mayors [Edward I.] Koch and [David] Dinkins, which were the mayors since we took over the facility. We are a center where usually people would come and organize and defend themselves in every aspect, not only things that are affecting CHARAS/El Bohio Center but things that are affecting every human being in the neighborhood, all issues, you name it, senior citizens, daycare centers, whatever. That’s where they used to meet and we were very happy to service those people. So therefore it was important that we provide a facility for people to express themselves and get organized and defend themselves in any case. So I guess Giuliani and the conservatives of the city, they decided we could probably destroy this facility simply by not letting them be there. They own the building. So that’s one way how to nail us and Mayor de Blasio said it was an injustice done to us because he and many other people knew that it was a center where a lot of people used to go for alternative actions and all kinds of things. Q: I know you worked hard not to get evicted. I know—[crosstalk]. Garcia: Yes, it took them almost six years, the procedure, because we kept on suing, kept on going to court. We kept on challenging and challenging. A lot of the community would support us, et cetera, et cetera. But basically here you have a system of government. They want to destroy facilities like us because we are not pro-landlords. We are not pro-developers. And we are not pro-government in general. We are a facility that helps people. They usually have problems with those structures and those systems. So it was a battle and we lost it, but it wasn’t because we did anything wrong. I think we did everything right [laughs]. Everything human and right for human beings. So we were like a mecca for alternative everything: alternative life, technology, health, you name it, education. Basically that’s what it was. And I’m very proud that I was part of something like that. Q: Absolutely. Were you there the day that the police came and forced everybody out? Garcia: Oh, yes. They sent around three hundred cops two days before he left office to throw us out. Let me see, he turned over his office on January first and they came December twenty-seventh, I think it was, only three days before he left office. He didn’t want us there under the new administration because you never know what the new administration will do technically. So his goal is to throw us out a couple of days before [Michael R.] Bloomberg takes office. Q: Did you actively resist that day? Garcia: Yes, we tried but there were too many policemen around. Ten of our people got arrested. They refused to leave voluntarily. Q: Do you remember how you felt that day? Garcia: Of course, you feel defeated. [pause] You feel very—I mean this is years of work that we did to protect that building, redevelop it, tried to get new ideas, to develop it so people could use it forever as a community facility. People—like myself and other people, the original people that took over the building—aren’t going to be around forever, so it would be a community facility forever. That’s what we were hoping, and that’s what we’re still hoping. Q: Were you part of getting the building landmarked in 2006? Garcia: No, that was a group of people that decided to do that and that was a good move on their part because the main thing is, as a community, we have to protect and save facilities. I’ve been involved in landmarkings. I think the first time I got involved with landmarking was dealing with South Street Seaport. Before the South Street Seaport became all fancy, we had a shop on Cherry Street and Jefferson [Street], which is where we built our dome. That dome was built, in the book [CHARAS: The Improbable Dome Builders] only around five blocks from the South Street Seaport. So we got involved with people that were at the beginning with the South Street Seaport. They were getting community support from the Lower East Side because the whole question of landmark was becoming more—I think after the disaster that took place with the Penn [Pennsylvania] Station because I know Penn Station. I used to shine shoes in Penn Station when I was a little kid. Remember, I used to live in Chelsea, and Penn Station was just a few blocks. I used to go to Penn Station, a beautiful, old building, and shine shoes. And basically after that destruction, because as a kid, I felt all those beautiful statues, I felt this is ridiculous. Why are they destroying this? But as a kid, you don’t know nothing about landmarks or anything like that. But it woke people up in many areas around the United States. You go around just destroying these things without any questions? So after that whole incident as a kid, I experienced it, I didn’t know about what was going on but I experienced it. I used Penn Station and I felt when it was destroyed, it’s like a funny empty feeling that you have. But you don’t know the question of landmarks and after that, it created an urban movement, not only in New York, but all over Washington, many other places. You cannot destroy every damn building you want. There are things that you have to save because it’s one of a kind left. It probably wasn’t only one of a kind at one time but there’s only a few left. Like the two or three that were saved in South Street Seaport, at one time, all that neighborhood, all the way down to, what you call it, that whole neighborhood, all the way down to the South Ferry, that neighborhood was mostly all like that, beautiful old houses with those beautiful roofs. It was a beautiful neighborhood, all the way down Water Street that was like that. Water Street was, I think, the last development because they did the West Side Mall, all the center of Broadway Mall. Then it started spreading towards the river. So all those things was important to create the movement of landmarking. I’m really glad it worked. It’s working. It’s protecting a lot of facilities, or else they would have destroyed already Grand Central Station. So those are things that are important. And myself, when that idea came up about landmarking the building, I felt that was a good move. Q: At least have the structure so you could still fight to get it back. Garcia: Well, the structure should be protected no matter what. We would have liked it like that. We would be selfish and say that, but the structure itself should be protected no matter what because it’s a unique facility and those H-designed buildings are unique. There’s not too many of them left. A lot of them got destroyed. Q: So I know that CHARAS obviously suffered tremendously but you didn’t go away. You still exist. Garcia: Yes, we’re still around. We’re doing little things here and there still. We volunteer all over the place. Q: Can you tell me—I know that Mayor de Blasio just last month announced that he was going to try to have the City buy the building back. Can you tell me—were you involved in getting him to that decision? Garcia: No, every year, we had some—for the last eighteen years, annually, we have several events in relationship to that building, just to let the community and the developer and the City know that we ‘re still around and we did not forget them. So we’ve been lucky that we have City Council representatives—Margarita Lopez and Rosie Mendez— are very strong supporters of CHARAS/El Bohio. They always kept the spirit going in the city government, the City Council—and there have been neighborhood people that have stopped the developer from doing things illegal. Because technically he really don’t want to turn that into a community facility. If he wanted to turn that into a community facility, it would be easy because, you know, the community needs facilities that would benefit the community. It’s just that he wants to develop mainly to make money and doesn’t care about so-called facility or anything like that. And the Giuliani administration knew that from the beginning. So basically he’s stuck with an agreement that he did with the City eighteen years ago and usually—there was a bidder—when the bid took place, they saw the demonstration, there were like four hundred people demonstrating inside the facility, outside the facility—and he put the down payment. You had to put in six hundred thousand to bid. He put the down payment. He was one of the bidders. Then at some point, he said aloud where everybody heard him, I’m pretty sure the developer that bought the building heard it too, he said, “You crazy. I ain’t going to bid for this facility. You see all those young people here and outside? They’re going to be around here for a long time. They’re not going to let you develop the facility.” And he didn’t bid. He didn’t bid and he put down the down payment. Basically, I think there was only three or four developers that were bidding. I mean we had a lot of people inside the facility and outside. We had bands playing. It was really interesting. We were driving the cops crazy [laughs]. Then somebody came and loosened a whole bunch of beetles in the facility. People started screaming and yelling and running because of those beetles. I don’t know who the hell did it, pero technically it was a person supporting the community, hoping that they would try to stop the bidding action as fast as they could. But in general, though, it was an interesting historical thing because here you have a very powerful mayor, really abusing some small group that we didn’t have nothing to do with the guy in general, except the normal complaints and normal. We never did anything extraordinary against him or his administration, just regular actions that we did against any mayor. We did it against Koch and he supported us. We did it against Dinkins. We did it against any leader that was in power, the president too. It doesn’t matter, the governor. We criticized them too. The reality is: they were a vicious group of people. Sadly, they happen to be in power now in the United States [laughs]. Then that was just New York City. Now they happen to be in power inside the United States of America. Q: It’s stunning, I think. Garcia: Yes, pero it’s the same type of group: developers, rich people. They are figuring out ways how to take over land, gentrify neighborhoods throughout the United States, just for money. They don’t care anything about humane rights, human issues, anything like that. Just figure out a way how to take land, either by force or abusive ways financially. Q: So I want to ask you, now de Blasio has heard, or maybe he’s been paying attention all along, what are you hoping will happen? And what do you think will happen? Garcia: Well, as a community, we are meeting on that as a community. And basically we’re trying to figure out what to do now. Because this action by the mayor took us by surprise as a community. So therefore we have to meet—not only CHARAS/El Bohio and the ones that kept all the pressure on for the last twenty years—pero as a community, we have to discuss how we’re going to put the building back into community use. I’d be happy to be a part of that for as long as I can. Garcia: Oh, I think we will succeed somehow. How in details-wise, I cannot tell you, pero we will succeed. We will be a community center again, I hope. Q: I wanted to ask you—I didn’t ask, how did you pick the name El Bohio for the community center and when did that happen? Garcia: Well, El Bohio means a hut in the Indian language of the Taino. So that’s why we picked the name El Bohio, you know, because it’s a facility. Q: And did you name the center pretty quickly once you got into the school? Garcia: Well, when Adopt-A-Building and CHARAS took it over, we just called it P.S. 64 [laughs]. In the beginning, the “Old P.S. 64” because you had the one here in the corner [there is a functioning school called P.S. 64 on East Sixth Street and Avenue B]. So basically, we would just call it the Old P.S. 64 Center or something like that. Then we figured we’d give it a name—a small relater to the Third World—and we figured the facility would be a hut of some kind or a building in our native language of the Taino would be perfect. Garcia: The reason, at the beginning, the people that took it over were mainly a lot of Puerto Ricans. I mean there were all kinds of people nationality-wise, but the strength was the Puerto Ricans and other Latinos and then other people. Pero that’s why we chose the name El Bohio based on the Taino Indians of Puerto Rico. Q: And obviously this neighborhood has changed so much since you were growing up and since so much disinvestment and now it’s so gentrified, what are your thoughts about kind of responding to what the neighborhood is like now for community, for working-class people? Garcia: I mean the neighborhood still has a strong body of Third World people and working people in the neighborhood, even though it’s been gentrified tremendously. And I feel thank god for the housing movements that were created in the ’50s and ’60s that saved a lot of these buildings for Third World people, working-class poor, which includes poor whites, poor blacks, poor Latinos, poor Chinese. A lot of them are still here mainly because of those housing movements. Like in this block alone, there’s around five blocks that was protected by the housing movement. And then the progressive housing movement also created all the laws that help protect people’s apartments, even the ones that are owned by private home people. Q: Do you have experience or wisdom or tips that you want to share with young activists, young community leaders, who you would like to see sort of give their energy to protecting the neighborhood? Garcia: Well, I feel that people should always—first of all, life goes on and things happen in life. And sometimes, some things are not fair towards you based on who you are and your backgrounds and that kind of stuff. And you should always protect it. You should always be a part. Like I always say if you are always part of a group or associated with somebody, and if you always vote if you can. People say there’s no choice. No, that’s not true, in New York, anyway. I don’t vote in other states, but in New York, you do have choices. I mean you have the Democrats and the Republicans, which is the traditional group, but you also have like four or five other parties that you can vote for. And participate. By saying, “I don’t believe in that,” they participate. You’ve got choices to participate and it’s important to be part of your local body, regardless of what’s happening national, because that’s your base. That’s where you walk every day, that’s where you eat every day. That’s where you sleep. So, therefore, you should always participate in anything that you feel might affect you and might affect other people. And hopefully you think of people that need extra help for whatever reason it is, because there is a lot of abuse going on. Some of those people need protection somehow. I hope people always think of being part of something. I feel very strongly. A lot of this neighborhood has been saved by activists historically that have been in this neighborhood. I hope we succeed. Then people have to realize, some projects might take twenty years, five years, or like the one on Delancey Street, the Seward Park Extension area of Delancey and Grand [Street], now they call it Essex Street Crossing, I mean that development took us fifty years. I was, I think, around seventeen years when I was part of that development and the construction is taking place now in 2017, it’s starting. You know what I mean? There’s always hope. You should never put yourself in that position. Now a project might take one month or it might take fifty years. Pero the thing is that if you believe in something and you keep on struggling, chances are that you win or you come close to winning. Somehow, something will happen. You know what I mean? That’s important. And with CHARAS/El Bohio, I feel that we never were wrong. And by the new mayor saying that it was an injustice against us makes me, and the hundreds of people that have supported us, finally say we are right. We never did anything wrong. We never did not do anything to deserve this type of action by any human being. Q: Do you feel a little bit vindicated? Garcia: Yes, of course. When the mayor says in a public meeting, when he mentioned that, everybody gave him a standing ovation. There were like five hundred people in that meeting, probably, and gave him a standing ovation, to him and our City Council representative, Rosie Mendez. But hopefully it will be a community center again. Let’s keep our fingers crossed on that one [laughs]. And there’s a lot of young people involved in our movement, which there has always has been and that’s the kind of spirit that still keeps on going. It hasn’t changed. Q: New generations come in. Garcia: Yes, there’s new generations then, and a generation in between, and a new generation now, which is really good news. And then we have a City Council representative elected brand-new and she’s the next generation. Q: Who is your new City Council member? Garcia: Carlina Rivera. She starts off January first. Q: She’s replacing Rosie Mendez. Q: Okay, cool. Is there anything you want to tell me that I haven’t asked? Garcia: No, I think we covered mostly everything [laughs]. Garcia: No, thank you. Thank you for the trouble.